This is a preloaded injection that is given daily in treatment of the blood clot. Part of the ongoing treatment for the blood clot my husband has in his leg is a daily injection of dalteparin sodium (trade name of Fragmin®). Same time every day, likely for the balance of his chemo treatment and maybe a bit beyond. Every day a needle to his belly. He could use another part of his body, but he already uses his thigh for his insulin injection, so the belly is pretty much his only choice. And in case you haven’t seen it the preloaded Fragmin® needle is not a small needle, it’s big. Needless to say it hurts but the benefit it provides outweighs the pain. He needs the injection but do we have other choices as to how it is delivered? Today I had to renew his prescription and I called in to the Pharmacist. I inquired about the size of the needle for the preloaded Fragmin®. The Pharmacist stated that with the preloaded syringes it only comes in the one needle size. 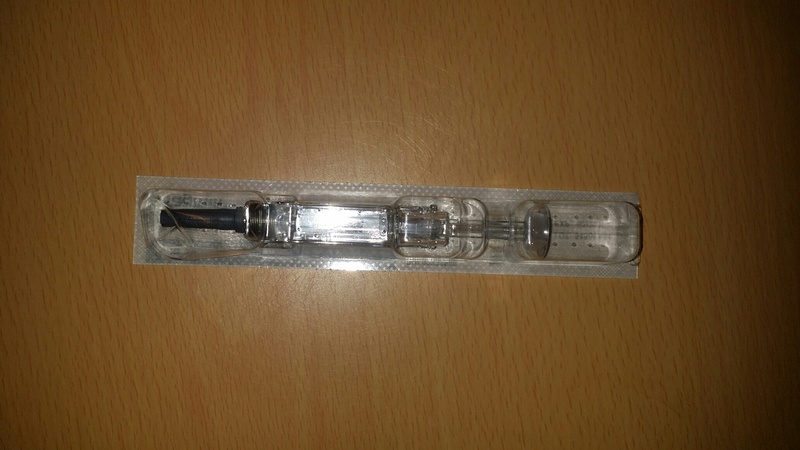 As an alternative the Pharmacist indicated that we can get a vial of the Fragmin® and load (draw up) our own injections, and if we do, then we can select a smaller size needle. Some people may not be comfortable with drawing up their own injections, but in our case this is absolutely the way we will go. We have to try it to determine if a smaller needle will reduce some of the pain and discomfort associated with the injection. This is where consumer feedback to the manufacturer is needed. First of all, why can’t they preload a number of doses into a single pen in the same manner as insulin? This would save on packaging as well as allow people to select their preferred needle tips. Hell, they can develop their own tips and make more money on the product even. Secondly, has anyone at the manufacturer injected themselves in the belly with this needle just to understand the degree of discomfort associated with it? I suspect they trialled it and assessed the drug for its effectiveness – not the delivery mechanism. However, if the present administration of the drug causes pain that can be alleviated through a product adjustment, such as the delivery mechanism (in this case the needle and syringe), then the manufacturer should be responsive to consumer needs. Obviously this is one suggestion that I will be forwarding to the manufacturers at Fragmin® in the immediate future. I love having your input on this stuff! Thanks so much for the info. It’s unfortunate that they took him off of all his pain thinners once he was diagnosed with cancer without discussing the likelihood of a clot forming. I suspect you may be on to something with the alcohol swab, I think today the injection site may have still been moist from the swab. Mental note, let it dry thoroughly. I will check with the visiting nurse and see if she can get a numbing patch for him. We truly do have the most amazing visiting nurse as our primary and I am so thankful about that. BTW ever heard of Atrac-Tain – she put us on to this for his dry cracked skin on his feet – and the dry skin that is resulting from the blood clot slowly dissipating – it is an amazing moisturizer.